Hello, my name is Eva. I´m an English teacher in a secondary school in Budapest, Hungary. I teach students aged 12 to - 18. 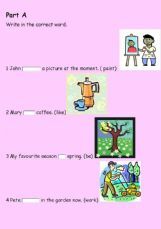 Students have to match the pictures and the words, complete a text about a boy´s free-time and choose the correct words. Key is included. So do I. / Neither do I. - But I do. / But I don´t. Students can practise what sentences to use when they want to agree or disagree with what someone says. 2 pages + key. 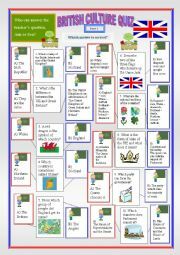 The second part of the Quiz on Britain. In the worksheet two children, Ann and Ben are answering their teacher´s questions. Your students have to decide which answer is correct. Key is included. 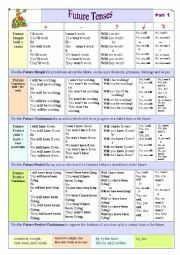 I have revised my charts on English Tenses and rearranged the material in new tables. 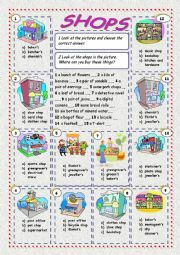 There are 6 pages in the printable and the twelve English Tenses are grouped according to their Aspect: Simple, Continuous, Perfect and Perfect Continuous. There are a few sentences for practice, too. 5 pages + key. First students have to match the words and the pictures, then find some of the words in the wordsearch. 3 pages + key. In Part 1 there are some rules how to form the four future tenses and when to use them. In Part 2 there are some sentences for practice. Key is included. Four exercises in this worksheet. Students have to match the words and the pictures, find words, put the paragraphs in order and rearrange the words in the sentences. Food and kitchen utensils vocabulary, recipe and the tradition of Pancake Day. 2 pages + key. There are 7 exercises in this worksheet. 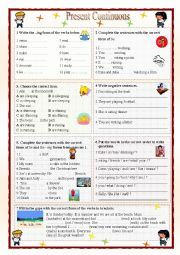 They can be used for practising the Present Continuous tense or for testing the students´ knowledge. A black and white page without pictures is included. Key is provided. Students have to choose the correct question and match it with the answer. 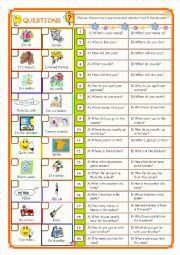 Students can practise how to ask questions, which question words to use and how to put the words in the right order to make questions. Key is included. Students are asked to look at the pictures and choose the name of the shop. They also have to say where they can buy certain things. Key is included. A PPT on questions and question words. Students have to choose the correct question words to complete the questions. Students have to choose the correct questions. 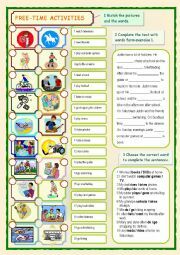 It is the PPT version of my printable http://www.eslprintables.com/printable.asp?id=726117#thetop. This PPT is based on my printable http://www.eslprintables.com/printable.asp?id=685833#thetop. Two students, Ann and Ben are answering their teacher´s questions about The United Kingdom. Your students have to choose which answer is correct. 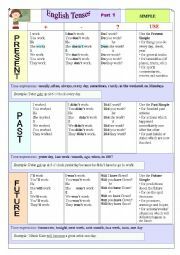 A guide to all English tenses: present, past, future, simple, continuous, perfect, perfect continuous. 37 slides. This is the second part of my PPT on British culture. Your students have to choose which answer is correct. Students have to look at the different pictures and choose the correct option. 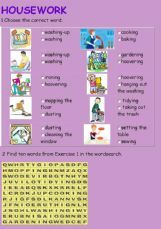 Students have to choose the correct answer and find some words in the wordsearch about housework. Students have to type in the correct verb forms in the sentences. They have to use the present simple or the present continuous form of the verbs. They have to write the 3rd person singular forms of some verbs and the -ing forms of some verbs. Students have to find out the name of the sports and use the correct verb: play, go or do. 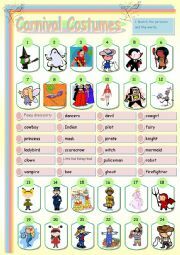 Students have to choose the correct past simple form of the regular or irregular verbs. 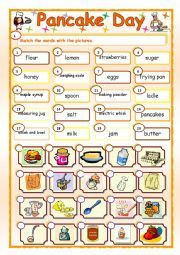 Students can practise Thanksgiving vocabulary. Students can practise the second conditional.They have to complete the sentences with the correct verb forms or choose the correct item to complete the sentences. Students have to choose the correct form of the verbs: gerund or infinitive with or without to. There are 15 sentences in this online exercise.